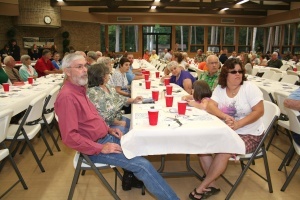 The Calhoun/Gulf County Annual Meeting is a fun event for the whole family. Members and volunteers gather for fellowship and a delicious dinner while discussing plans for the future. Popular topics up for discussion include agriculture education promotion and legislative issues. The meeting is highly attended and local farmers and ranchers are recognized for their dedicated contributions.